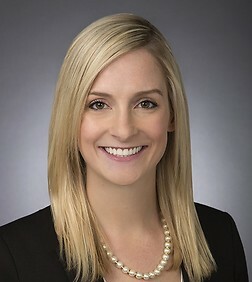 Heather L. Petrovich is a member of the Government Contracts, Investigations and International Trade Practice Group in the firm's Washington, D.C. office. Ms. Petrovich's practice focuses primarily on government and internal investigations, white collar defense, and complex litigation matters. Ms. Petrovich’s experience includes conducting internal investigations relating to the False Claims Act, Foreign Corrupt Practices Act, fraud and abuse matters, government contract compliance, and various other laws and regulations. In addition, Ms. Petrovich has represented clients in a variety of litigation matters, including federal and state False Claims Act actions, antitrust matters, commercial and government contractor disputes, trademark infringement, and bid protests and interventions. Her experience also includes counseling and advising clients on a wide range of matters relating to small business regulations, mandatory disclosure, the Contract Disputes Act, subcontract and teaming agreements, security clearance requirements, CFIUS compliance, and Freedom of Information Act requests. Ms. Petrovich serves as a co-chair of the D.C. office’s Women Lawyers Group and a member of the firm’s Associate Working Group. Prior to joining the firm, Ms. Petrovich served as a law clerk to the Honorable Margaret A. Ryan and the Honorable Kevin A. Ohlson of the United States Court of Appeals for the Armed Forces. During law school, Ms. Petrovich served as Articles Editor for the North Carolina Law Review. She was also the recipient of the William T. Joyner Award for Excellence in Journal Writing and the Gressman-Pollitt Award for Outstanding Oral Advocacy.